Multiple Grade 1-winning millionaire Constitution, recent winner of the Donn H. (G1), will not travel to Dubai for the March 28th Dubai World Cup (G1) at Meydan Racecourse. Owned by WinStar Farm & Twin Creeks Racing, the 4-year-old son of Tapit was discovered to have a little heat and soreness in his left shin following a breeze last Sunday at Palm Beach Downs. Constitution recorded a 113 Beyer Speed Figure with his win in the Donn, marking the fastest Beyer recorded to date in 2015 at any distance or track in the world. Out of the multiple graded stakes-producing Distorted Humor mare Baffled, Constitution holds career earnings of $1,004,096 to date. 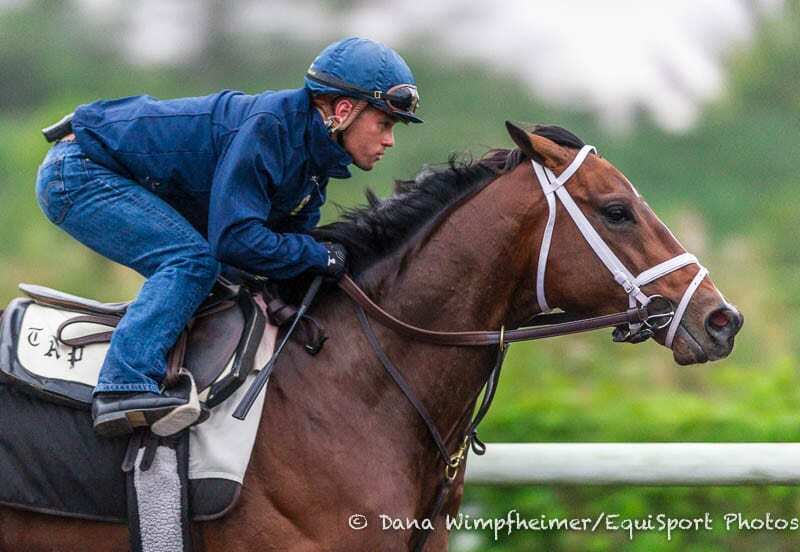 This entry was posted in Racing and tagged Constitution, dubai world cup, Horse Racing, Paulick Report, thoroughbred, todd pletcher, winstar farm by Press Release. Bookmark the permalink.